Lately I’m a bit sick of all the canned positive messages, despite being the author of self-help books. The general message seems to be that we must want to achieve stardom or have the bank account balance of Donald Trump to be happy. Many people are going to get seriously depressed under that kind of pressure. Especially in this economy! I believe it’s perfectly fine to have humble goals as long as you are ok with that. And you don’t have to travel to Tibet to meditate or wear amulets around your neck to attract positive changes in your life. - When you know what you want, take action. No matter how small, take a step in the direction of your goal. That will counteract the inertia of doing nothing about your current situation. - Make a plan. What will you do and by when? If you want to land a job in three months’ time, how many résumés will you send out every week? How many people will you contact on LinkedIn? What friends or acquaintances will you tell that you are looking for a job? - Enlist a partner. Ask a friend who has a similar goal to be your pacing partner. Giving each other support will help you keep on going when one of you wants to quit. - Commit yourself. Few goals are achieved from one day to the next. Keep in mind that there will be difficult times and days when it will seem nothing is happening. Wait those moments out, and just keep going. Too many people give up right before they were about to achieve something they wanted. If you enjoy this blog, like my Facebook page. 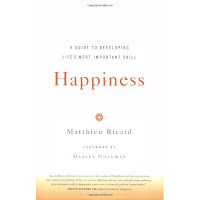 A reader of my blog recommended the book Happiness: a Guide to Life’s Most Important Skill by Ricard Matthieu. I’ve read the book and listened to the audio-version too. 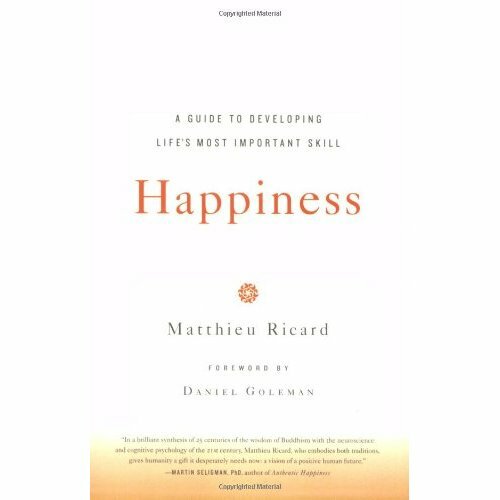 Based on Buddhist principles, Matthieu’s message is simple: we can learn to be happy. True joie de vivre does not depend on outer circumstances. This would make happiness precarious. When joy comes from within, then circumstances cannot alter its basic structure. You can be upset temporarily, but you will still be basically strong of character and content. I recommend the book or especially, the audio book. Few things build character as much as overcoming an addiction does. 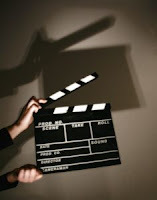 It could be smoking, drinking alcohol, taking drugs, or being at TV-watching junkie, a coffee addict or a shopaholic. 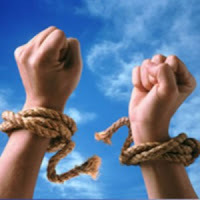 Admitting that an addiction interferes with your life, your relationships or your work is quite an achievement. And actually doing something about it is a success! I overcame bulimia, which is very similar to any other addiction, with the added stress of the “drug” being something as mundane and accessible as food. It took me many years to conquer it, and the result of that was my first book: “I Feel Fat”, published in 1993, followed by “Fear of Eating”, in 2002. However, I consider that my greatest achievement was that I never gave up, regardless of the outcome. Actually overcoming the addiction was the icing on the cake. When you manage to overcome an addiction, which is a huge success that most people do not readily admit to, perhaps out of shame, you feel you can do anything. What addictions or bad habits have you overcome? Which would you like to overcome? What are you going to do about it? If you like this blog, like my page on Facebook. I suggest adopting a positive outlook and learning to take life with a grain or two of salt, even when times are tough. You must also be willing to do what it takes in order to live life on your own terms and not settle for less. However, you must make that happen. I believe in serendipity, I believe we attract what we are, I believe in good and bad energy. But I also know that if I weren’t typing these words, nobody would do it for me. If you’ve been thinking for years: “some day I’ll shape up,” “If only I had time, I’d go back to college,” “If I really set my mind to it I’d write a book”, give yourself a break and do something about it. Baby your dreams! We parents know that loving a child is wonderful and yet … who enjoys sleepless nights and having to change diaper after diaper or taking the kids to the ER (I’ve visited a few in the past days) at odd hours? Who gets a kick out of a meltdown in the supermarket? But we put up with it because we love our kids with a passion and there is no other choice. Give it a try, and you may be pleasantly surprised. If you enjoy this blog, like my page on Facebook. In order to learn how to write, you must write a lot and the result could be terrible, mediocre, decent or exceptional. No matter how much thought you give to writing, you will only publish a book if you actually write it! You may even sign a contract based on a proposal, but – I repeat - you will only publish it if you finish the book. This happens in every area of life. You won’t run a marathon unless you lace up your running shoes and hit the pavement. You won’t finish a college degree unless you sign up, go to class, study, write papers and take exams. You won’t get a job unless you write up your résumé and send it out, fill out applications and go to job interviews. You must take action. You can watch videos of people swimming or driving or doing anything else until your eyes water, but unless you swim or drive yourself, nothing will happen. The lack of productivity is often a result of fear of failure. It’s something we writers deal with every time we sit at the keyboard. We have to make a mental effort to convince ourselves that it’s ok to make mistakes writing, or pant while running or fail a test. The more you do, the better you will be at it and the greater your odds of achieving your goals.